Soybean is an oilseed crop with the primary purpose of extracting the oil contained in the seeds. Other well known oilseeds besides soybeans include sunflowers, rapeseed, cotton and peanuts. 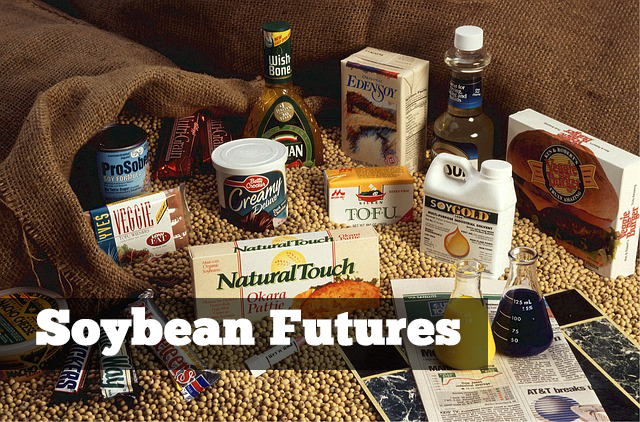 But of course, for futures traders, soybeans futures are one of the most popular contracts in this category. The soybean trade is a global trade and is primarily appreciated in Asia as one of the natural foods. 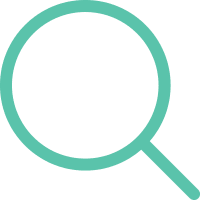 Interestingly, soybean has also found its uses in print, where some publications make use of soybean ink which is an alternative to the common petroleum based ink. When you talk about Soybeans, China can’t be left behind. The nation is expected to become the top importer of Soybeans in the coming years, adding more pressure to the demand side. If you are thinking of trading soybean futures, here are 6 things that you should know about the soybean futures market. Soybeans make up the underlying asset or commodity for the soybeans futures contract. It is an attractive commodity to trade as a hedge for producers with most of the demand now seen from the emerging markets. Therefore, it is not surprising to see that trading soybeans futures make for a lucrative proposition for futures traders. Soybeans popularity comes from its importance and uses. It is widely used as livestock feed, a substitute for meat as well as a source of oil. It is estimated that the soybean futures prices will rise exponentially as the world's population increases demand for the product. 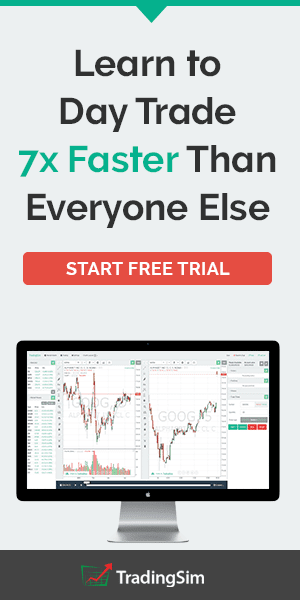 From a trading perspective, soybeans futures are very liquid contracts and offers tremendous potential to make profits day trading the soybeans futures. 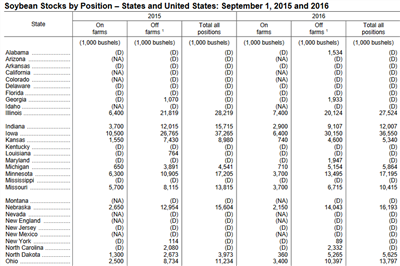 Producers and marketers make up the majority of the trading group in soybeans contracts. The soybeans futures prices help both these groups to hedge against the risk of price fluctuations in the soybean markets. The futures contract for soybeans is a standardized contract and as with many other futures contracts, it is traded on an exchange between two parties. All soybeans futures contracts require the traders to put up the initial margin and a maintenance margin and comes with contract expiry months. Soybeans were initially farmed in Southeast Asia and mainly from China which has become a net importer and accounts for large consumption of soybeans. It is said that soybeans were first introduced outside of China to its neighbors since the 16th century. It was later introduced to Europe in the 18th century and arrived in North America in 1765. Samuel Bowen a sailor with the East India Company is said to have brought the seeds from China and started growing them in Georgia. The use of soybeans has changed since the ages. While it was initially used for oil or feed meal it was the funding from Henry Ford that advanced the use of soybeans which branched out into soy-based products including plastics used in cars. Soybeans grew in favor during the Second World War as a substitute for proteins from other sources. In the 1960's the U.S. removed tariffs on soybean exports from Europe. The top five countries that produce soybeans are the U.S., Argentina, Brazil, China, and India. These countries make up for nearly 90% of the world's soybean production. Of this, the Americas make up for 55% of production. The U.S. is said to be a leading soybean producer accounting for as much as 108 million metric tons as of 2014 followed by Brazil at 86.8 million. It is estimated that the total soybean production in the world in 2014 was at 249 million metric tons. In the mid 90’s the U.S. dominated the world’s soybean trade, exporting as much as 90% of the world’s soybean. Argentina comes in at the third spot with production at 53.4 million metric tons. The top importers are now China accounting for 41% and Europe for 22% of imports. China’s imports of soybeans have been growing exponentially, at an estimated 55 million tons, or about 61% in imports and is expected to rise even more. By 2020, China is expected to increase soybean imports by another 50% or close to 110 million metric tons. Soybean is the second most planted crop in the U.S. with more than 80% of soybean farming coming from the Midwest. In 2008, in the U.S. 74.8 million acres of land is said to have been devoted to soybean production. 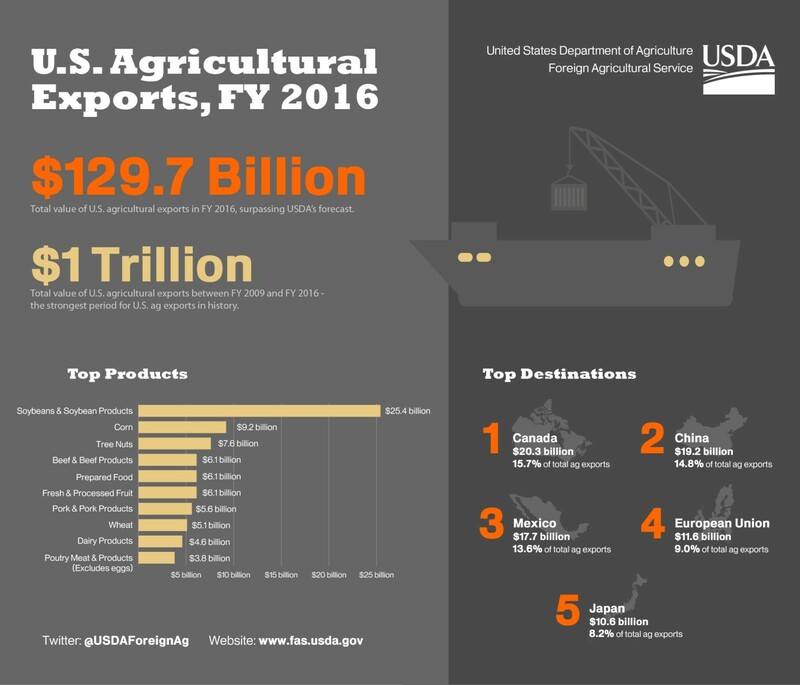 The U.S. accounts for 44% of soybean exports and nearly 35% of production as of 2010. Asian imports of soybeans is said to be 75 million metric tons in 2009 and is expected to rise to 130 million metric tons by 2019. Soybeans futures can be traded on the CME Exchange/Chicago Board of Trade (CBOT) on the Globex electronic exchange or ICE futures. 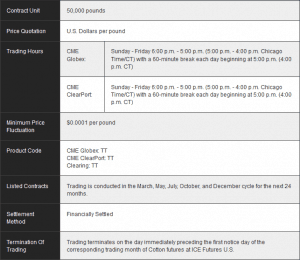 On the CME exchange, there are two versions of Soybeans futures contracts you can trade. Mini-sized soybeans have the ticker XK while the regular soybeans contract has the ticker ZS. Below is a summary of both the types of soybeans contracts. Soybean markets follow a pattern of a fixed cycle production which starts from planting to podding and harvesting. Each of these three stages in the soybean crop development has an influence on the final futures prices as it impacts the supply side of the chain. Planting: The field preparation and planning is usually done between the months of mid-March through May and marks the early stage of the planning process. During these times, Soybeans futures prices tend to generally increase if the planting is in line with the expectations. The planting season also gives an early estimate of the potential supply that the planting will yield. Podding: Podding is the second stage where the soybeans start to pod or reproduce. This typically takes place during the month of August. Depending on the pace of podding, the soybeans futures prices tend to increase but it could be negatively impacted on factors such as pollination which can adversely affect the final harvest. Harvest: Soybeans are harvested around October through November. Factors that influence prices during the harvest period include any potential delays, crop diseases all of which can see the soybean futures prices being impacted accordingly. Crop Diseases: Soybeans can be susceptible to any diseases which could not only reduce the expected yield but also the quality which plays an important role in the final prices. Soybean diseases can also impact the costs for the farmers or producers and can snowball into impacting other decisions such as marketing and cropping. Asian rust is one of the well-known diseases that soybeans crops succumb to. It is a harmful fungal disease with the rust spores, once windborne can spread rapidly among the crop and can infect the entire region. Demand (China): China is one of the biggest importers of soybeans and therefore the demand for the product can directly impact prices. It is expected that China will continue to import over 50% of the world’s soybeans. 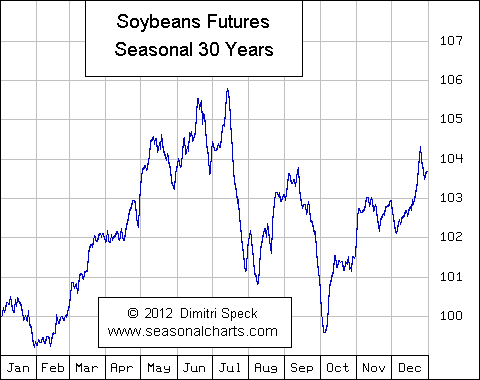 Seasonality: Seasonal patterns are an important aspect of trading soybean futures. The harvest season is between September and October and is marked by an increase in supply. On the other hand, winter seasons are where demand for soybeans rises the most for soybean meal for livestock for example and thus exporters start to bid up prices by late fall and early winter. February is generally a slow period for soybean futures as transportation and production is limited due to the winter. As with most agricultural products, the USDA's report plays a huge role in setting expectations for demand for soybeans. The USDA's grain stocks report is published four times a year and contains stocks of soybeans, among other agricultural products. The report details the number and capacity of on and off the farm storage capacity. When trading soybeans futures charts, it is essential to pay attention to backwardation and contango which is a common phenomenon in the futures market. Backwardation simply means that prices are trading at a discount, while contango means that prices are trading at a premium. Backwardation is where the prices of the far out or distant futures contracts are higher than the prices of the front month futures contract. In the soybeans markets, backwardation implies that the markets wants the soybeans now and thus sends a clear signal of rising demand. 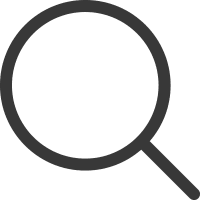 Contago is where the price of the front month futures contracts is higher than the distant futures contracts. This is a normal phenomenon as a commodity such as soybeans require additional charges such as cost of interest, insurance among other things. Thus, in a contango, the front month futures contracts are usually higher than the distant months. The table below shows the latest soybean futures prices for the different contract months. You can see how the price for March futures is higher than the January contract month, indicating that there is an increasing demand for soybeans and also implying the bakwardation scenario. In contango, hedgers indicate that they are willing to pay more for the commodity (soybeans in this case) at some point in the future than the actual expected price of the commodity (the spot or the front month prices). Using technical indicators such as moving averages, traders can find potential trading opportunities when such scenario presents itself. Due to the fact that soybeans are produced in the U.S. and most of the exports going to China, futures traders can be well equipped to look at the fundamentals and combine the information with the technicals in order to trade soybean futures contracts successfully. Soybeans futures are one of the biggest exports from the US and are one of the most popular of agricultural futures contracts. 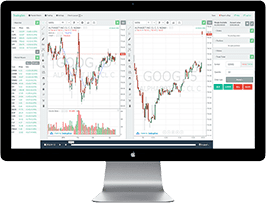 With the option to trade either the full soybean contracts or the mini-sized soybean contracts both of which having a reasonable margin requirements, futures traders can look to making decent returns when considering factors such as seasonality, the quarterly reports and other technical factors.